"The important thing is this: Be ready at any moment to sacrifice what you are, for what you can become"
A year-long journey of discovery for the current CEO or CEO succession candidate. Executive Breakthrough unleashes your full potential and accelerates your ability to transform your organization. Can I be the leader I aspire to be? As CEO, you assume the position with high expectations – of your shareholders, employees, stakeholder groups and yes, yourself. Egon Zehnder’s global survey, The CEO: A Personal Reflection, found that only 28% of internally-selected CEOS and 38% of external hires felt fully prepared for the job. The Executive Breakthrough Program is an opportunity for current and aspiring CEOs to deeply reflect on how to transform both yourself and the enterprise you lead while gaining new perspectives and energy. It is unique, selective, confidential and by invitation only. Throughout your career, the focus has been on refining your technical capabilities; time for personal transformation and reflection has likely been a lesser priority. The Executive Breakthrough Program, headed by a multidisciplinary team of development experts from Egon Zehnder and Mobius Executive Leadership, will take you on a year-long systematic, transformative journey of personal discovery, development and support to create truly holistic growth and realize your full potential. The Executive Breakthrough Program helps you discover your authentic leadership style while broadening the behaviors and mindsets to better engage and influence those you lead. During the program’s phases, you identify what is holding you back, and how to strengthen those unique qualities that make you most effective in the CEO or another executive position. The program combines WINNING FROM WITHIN®, Mobius’s seminal framework on personal transformation from the inside out, with Egon Zehnder’s Potential Model, a proven assessment tool that gauges and quantifies the long-term outlook for leaders to succeed in future roles. Central to the construct is Egon Zehnder’s Transformational Leadership model – aligning the individual’s personal growth priorities to the transformation agenda of their business. Develops a critical baseline of your current mindset, ambitions, passion and purpose. You will become fully attuned to your own personality characteristics and assumptions as well as how others perceive you, including a benchmark against other high-performing leaders. This becomes your leadership baseline – a robust evaluation of competencies, unfulfilled potential and insights into important “blind spots”. Evolves your mindset as you work together with expert faculty and a carefully selected group of participant peers during a five-day Intensive experience, designed to help you understand your own talents, leadership style, authentic gifts and most powerful aspirations. Leaders create a toolkit in tandem with faculty and their personal Development Advisor that becomes the foundation for how they define, sustain and deepen their impact. Ensures readiness for what’s next through the creation of a long-term personal transformation plan for you, both as an individual leader, and as a leader of organizational change. Working with your Development Advisor as coach, mentor and support, over the course of the remaining year, you will fine-tune the personal plan to embed new behaviors and mindsets into day-to-day execution. In the ‘Age of Disruption’, the new game requires leaders to disrupt their inner order. As the world reinvents itself, the only way to win is to reinvent yourself too. You are paired with an Egon Zehnder Development Advisor who will work intensively with you as your sponsor, advisor, integrator and mentor throughout the year-long journey. 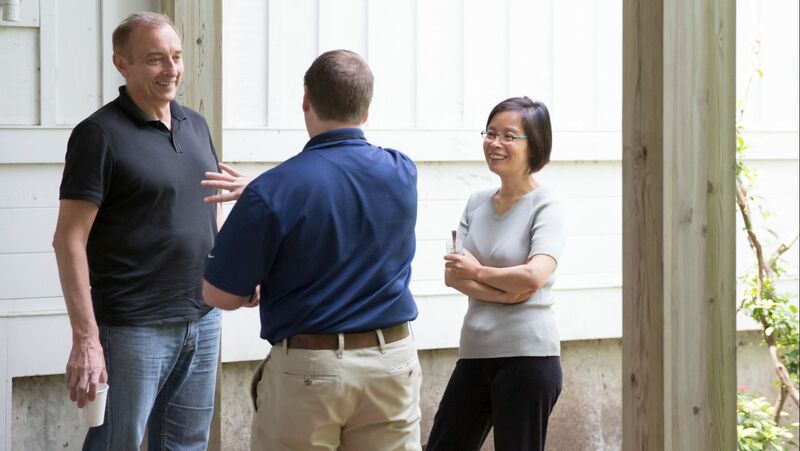 Our faculty and your Development Advisor work with you to develop your baseline as a leader. It includes psychometrics and a proprietary benchmark of your capabilities as a transformational leader, measured against other high-performing CEOs and executives. At the end of this first phase you’ll come out with a Leadership Development roadmap--your compass for the leadership journey ahead. A five-day, highly experiential offsite will accelerate your personal transformation by evaluating how you look at yourself, your role and your challenges within your organization. The faculty is led by Mobius Chief Thought Leader, Erica Ariel Fox, author of WINNING FROM WITHIN®, and includes additional seasoned Mobius instructors as well as Egon Zehnder Partners. Participants work with peers and delve deeply into their own journeys. Many view the Intensive as a once-in-a-lifetime chance to change both their lives and their leadership approach. Following the Intensive and for the remainder of the year, your Egon Zehnder Development Advisor will help you to convert your personal plan into action. The ability to ‘break through’ and own and embrace your full potential is extraordinary to witness. It separates the good leaders of our time from the truly great ones– and those who follow. The Executive Breakthrough Program is unique, confidential and by invitation only. Designed for current CEOs and senior executives who aspire to be CEOs or are on the successor path, participants are chosen and invited by Egon Zehnder and their respective sponsor organizations. 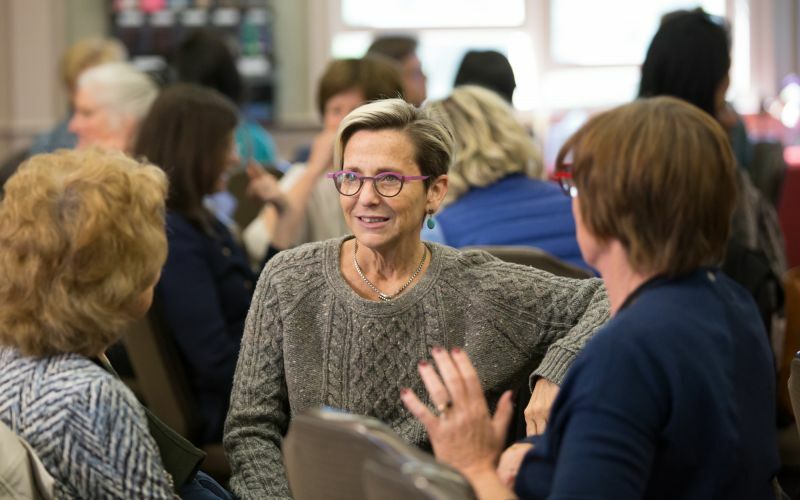 EBP brings together a small global cohort of participants drawn from complementary backgrounds, based on similarities in experience, potential and their ability to connect and contribute as a supportive group of peers. The Executive Breakthrough Program takes place over the course of one full year. All venues are scenic, tranquil, and designed to provide beautiful, reflective environments for growth. Global locations and specifics are discussed upon registration. For more information, please email ExecutiveBreakthrough@egonzehnder.com. I most appreciated the insight, the challenge, emotionally and mentally. The openness of the group, the support of the group. The fact is, you took us places other courses wouldn’t dare to go. I never imagined how much value I would get from this both personally and professionally! The faculty and how they handled the group and my personal situation was second to none. One of the best experiences of my professional life. I have been on a lot of leadership programs in my time and this has been out of this world. It is too hard to describe in words; you are going to have to come and experience it for yourself. Egon Zehnder's Ricardo Sunderland spoke with American mathematician and computer scientist DJ Patil, former Chief Data Scientist of the United States Office of Science and Technology Policy, on his EBP experience. Ready to unleash your world-changing leadership potential?